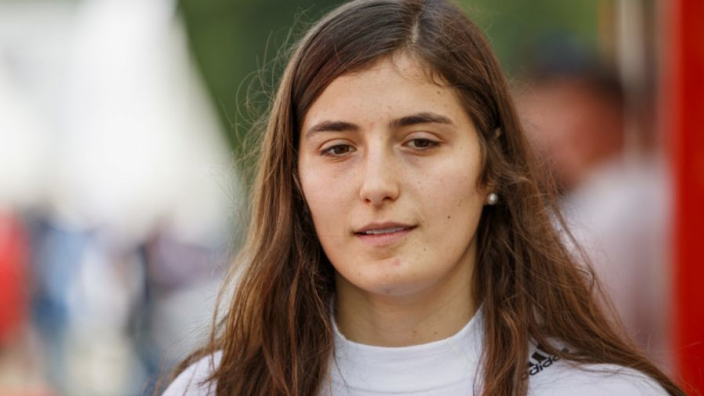 GP3 racer Tatiana Calderon has revealed that the desire to pursue her dream of becoming a Formula One driver is why she wakes up every morning, as she attempts to become the first woman to feature on a Grand Prix grid in over 40 years. The last female to feature in the highest level of motorsport was Lella Lombardi back in 1976 who got behind the wheel for the Austrian GP. Since then, Susie Wolff and Maria de Villota have came closest with their roles as test drivers, but the search continues for the first female star this century. Calderon reckons she has what it takes, and the target of making it to F1 is what drives her. "I would say to myself all the time, especially in Colombia, are you sure you're going to get into Formula 1?" she told the official Formula 1 website. "But you think to yourself, why not? That's why I wake up every morning, because I want to be an F1 driver. "It’s not good to say, but I don’t care about them paying me millions. I just want to drive those cars as fast as I can and really get the chance to prove myself. That's why I'm racing GP3. However, Calderon does not expect, or want, special treatment because she is a woman, and wants to be assessed on her abilities, not gender. "F1 is another level, and they need to see the results at the end of the day. They know I'm capable." "I don't want to let people give me an opportunity because I'm a woman. I don't want to be taken like that," she continued. "I want to be taken like who I am, as a driver. I think I have something to bring to the table, because I'm very sensitive. I think my feedback is quite good. I really want to earn my place.